Conti Solar, a national solar engineering, procurement and construction (EPC), O&M and energy storage company, announced that it is providing full turnkey EPC services for the largest solar installation to date in Rhode Island. 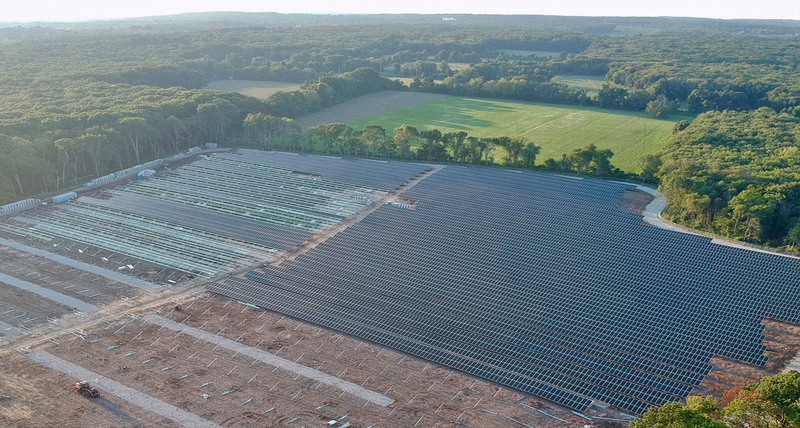 Developed by Southern Sky Renewable Energy, the 21.3 megawatt (MW), Gold Meadow Farms solar project is being constructed in Cranston, Rhode Island. When completed, this solar project will generate clean solar energy for the City of Providence, significantly reduce the capital city’s energy costs and contribute to the state’s Clean Energy Portfolio. The solar project spans over 100 acres of rugged, rocky terrain. With approximately 53,000 solar panels and 130 string inverters to be installed, the project will employ hundreds of people across the state. In addition, it will drive tens of thousands of dollars in revenue into the communities, through local businesses and taxes. The Gold Meadow Farms solar project is expected to be completed in early 2019. Conti Solar is a leading solar EPC in Rhode Island and builds some of the largest and highest profile projects in the state. The Gold Meadow Farms solar project is one of over 45 MW of projects that Conti Solar is currently constructing in the ocean state. The company’s substantial track record and project experience across solar subsegments including agriculture, landfill, community solar, and large-scale projects drive reliability in efficient project completion for solar developers, utilities and independent power producers. Both Southern Sky and Conti Solar are known for their exceptional problem-solving skills and their dedication to delivering high quality solar projects. “Southern Sky’s regional knowledge and experience is critical to the success of challenging solar installations. We are pleased to have the opportunity to work with a developer who is focused on executing projects the right way, the first time,” said Eric Millard, Chief Commercial Officer of Conti Solar. Conti Solar was selected by NJRCEV to provide EPC services for two commercial solar projects located in Milford and Washington Township, New Jersey totaling approximately 20 megawatts. Solar Power Florida brings together the Florida solar and storage markets.